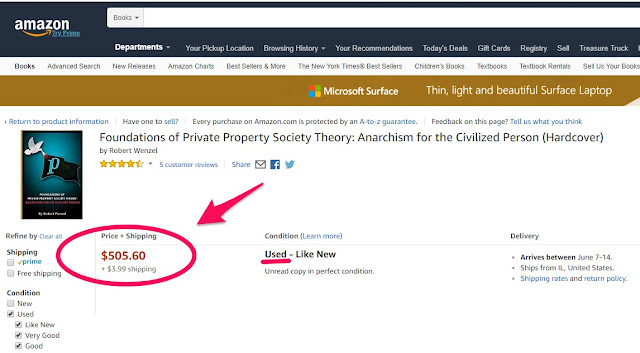 I am finally getting some serious respect for my book ,Foundations of Private Property Society Theory: Anarchism for the Civilized Person. An Amazon seller has put a used copy of the hardcover limited edition version up for sale for $505.60. Of course, there are many ways to get the book for a lot less. See here.